Tudor World will be having a Shakespeare Supper on Friday 25th April at 7.30pm in honour of Shakespeare’s Birthday at Hathaways in the High Street. Includes meal, wine and Shakespeare as host. Click here for further details. 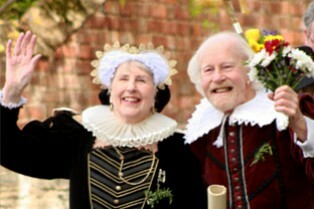 On Saturday 26th April, following the parade, Shakespeare will be giving a tour of his home town at 2pm from Tudor World. Click here for further details.